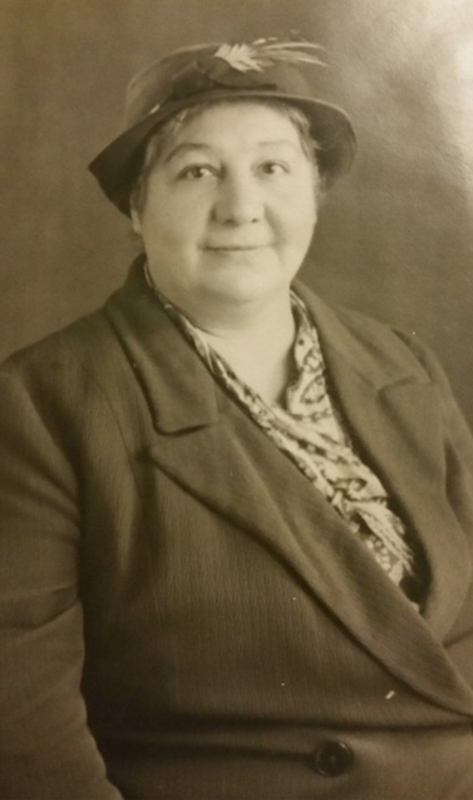 Angelina Quilietti was the daughter of Augusto Quilietti and Francesca Arpino. She was born in the Grassmarket in Edinburgh in an area known as little Italy at that time. Her birth address was 85 Grassmarket, Edinburgh, which still stands today, as a fish and chip shop. 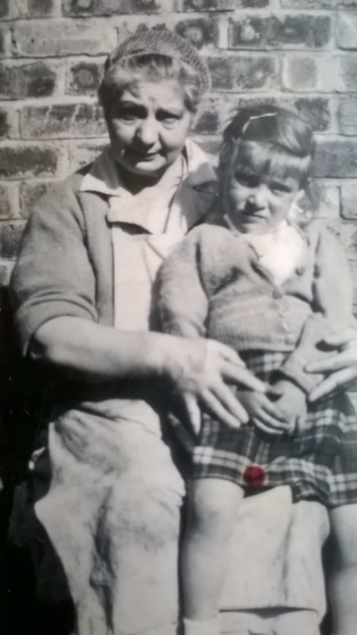 When she was born her father’s occupation was one of confectioner, which would have been ice cream and other sweet delights as well as the fish and chips which had just started to take off in Edinburgh around that time. Augusto and Francesca were married at the Church of the Sacred Heart, Lauriston, Edinburgh on 20th August 1893. The Church itself lies just off the Grassmarket up the West Port and then along to the left. 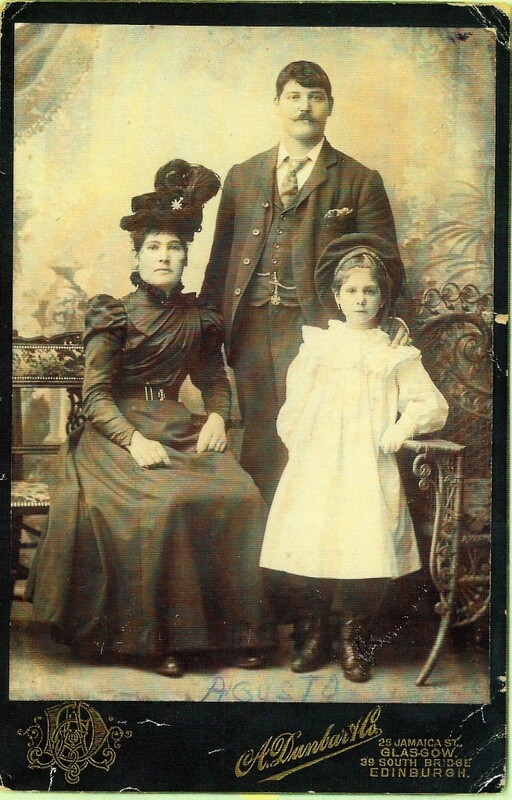 By 1898 the Quilietti family had moved from The Grassmarket further up the hill to 1 Ramsay’s Close in the Canongate where her sister Ermennia was born in 1898. Ermennia died when she was only 1 years old. Angelina Quilietti lost her father Augusto in 1904 when she was only 10 years old. Augusto however had, like his brother Emilio and many more of the Italian immigrants, progressed from the Arts of Stucco and Marble to the restaurant and confectionery/ice cream business. After Augusto’s death it is documented that Francesca carried on the businesses in the Royal Mile. Some years later Francesca and Angelina moved to Paris where their were Arpino relations living. 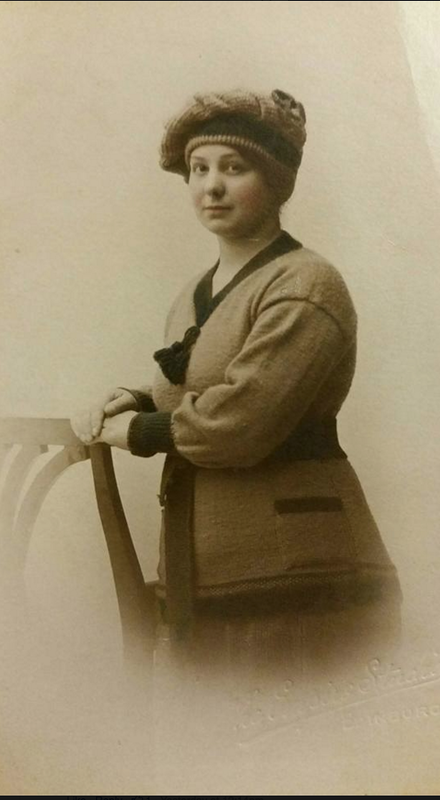 Angelina Quilietti Arpino – photograph sponsored by her great grandaughter Angelina Sim in April 2016. Such a wonderful donation. She was so beautiful. Angelina married another Arpino by the name of Giovanni Battista Arpino, whose family were also from the same region in Italy, Sant Elia Fiumerapido, Frosinone, an area near Rome and Cassino in central Italy. He was born on 29th September 1897. His parents were Gaetano Arpino and Lugia Combillo. The area is scattered with villages and at this time in history many Italians had moved to Scotland from this area after the Unification of Italy. Giovanni had worked in America for some years before coming to Scotland. He first arrived in New York upon the Steamship Germania on 24th November 1903. He found work with the Ford Motor Company whose new vehicles were just taking off at the time. He loved this work and always had a great passion for motorbikes and engines. 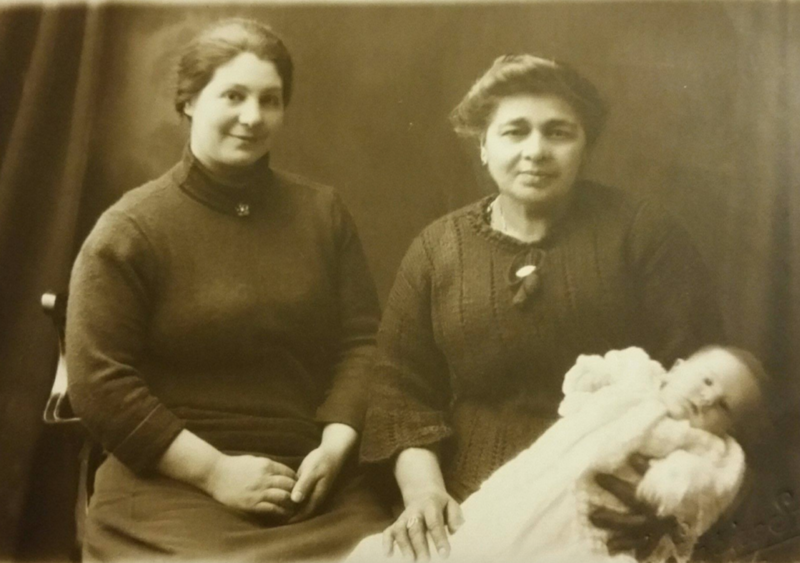 Their children came along Mary in 1912. Mary was born at 302 High Street in Linlithgow where we they lived briefly after their marriage. They then moved to Patthead where the family settled for the rest of their lives really. 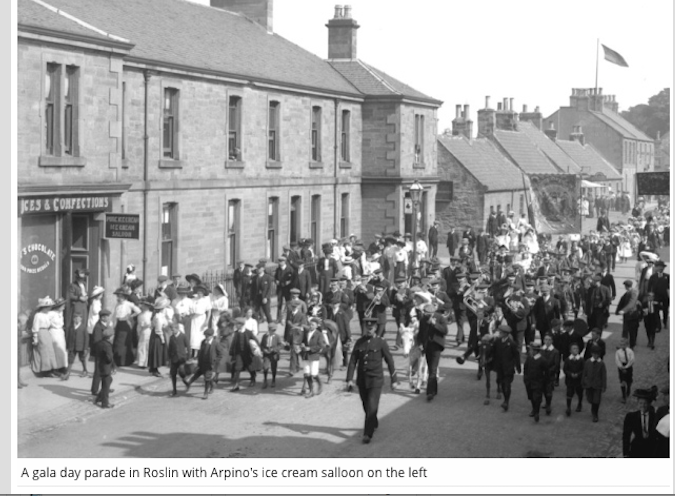 It was here that the family eventually owned their confectionery shop in the High Street. Charles Gaetano came along in 1913 and he was born in Patthead. Then they moved along to Dumbryden Street for a couple of years we believe. 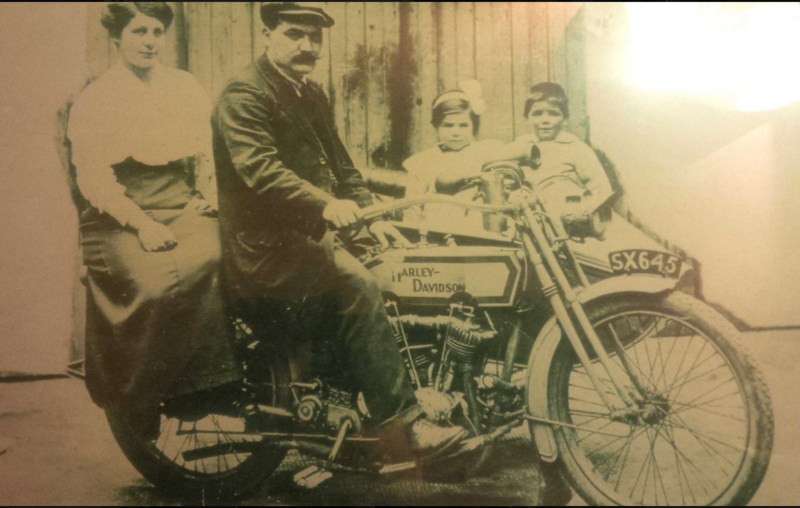 The photograph above shows the family on his beloved Motor Bike. Taken at Drumbryden Street. Emilia was born in 1916 in Linlithgow again. Giovanni Batista, who died shortly after his birth in the year 1922.